Twitter Real Time Dashboard with Pentaho ~ Business Intelligence y Big Data: ¡Aprende Gratis sobre Analytics! 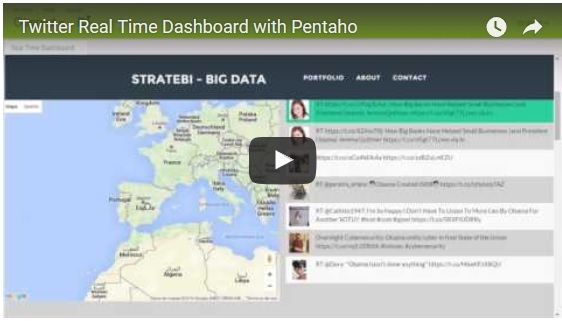 You can see a real time dashboard with pentaho and other open source technologies with Twitter information. You can play with it in this online Demo.